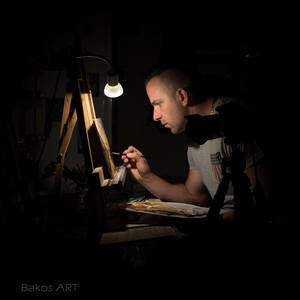 I am a Hungarian artist, I found my passion with oil painting. I mostly paint in winter time as in the summer I do more photography (my other passion) whic is also a beautiful form of art. I have been living in England for 10 years. At the moment I live and paint in Hungary. Skegness Hildreds Centre 2014 _ My own exhibition of my best oil paintings in a busy shopping centre.